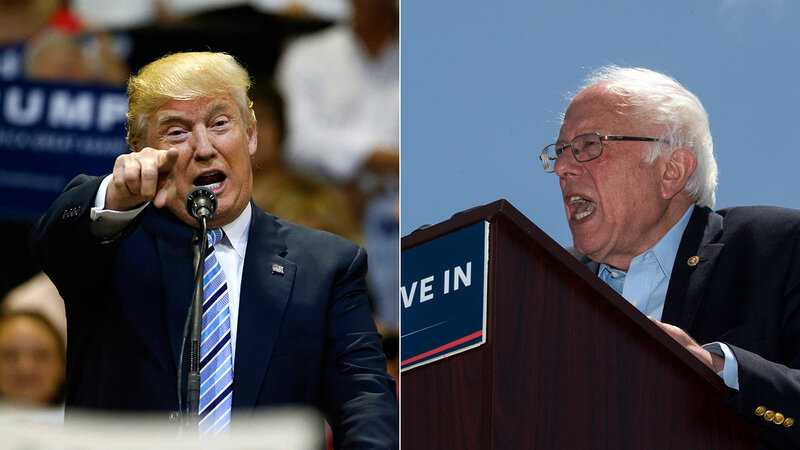 LOS ANGELES -- Donald Trump has officially squashed hopes for a debate with Bernie Sanders, saying it would be inappropriate to debate the "second place finisher." "Based on the fact that the Democratic nominating process is totally rigged and Crooked Hillary Clinton and Deborah Wasserman Schultz will not allow Bernie Sanders to win, and now that I am the presumptive Republican nominee, it seems inappropriate that I would debate the second place finisher. Likewise, the networks want to make a killing on these events and are not proving to be too generous to charitable causes, in this case, women's health issues. Therefore, as much as I want to debate Bernie Sanders - and it would be an easy payday - I will wait to debate the first place finisher in the Democratic Party, probably Crooked Hillary Clinton, or whoever it may be." Appearing on ABC's "Jimmy Kimmel Live," Sanders said he was genuinely interested in a faceoff with Trump, saying the pair sees the world in vastly different ways, adding that "the goal would be to have it in some big stadium." Trump then agreed to Sanders' proposal to debate, but said that the hosting TV network would have to put up millions of dollars for charity. On Friday, Sanders' campaign released a statement reiterating its interest in debating the presumptive Republican nominee, saying the campaign has received two offers by television networks looking to air a Trump-Sanders debate. "Both offers include a major contribution to charity," Sanders' campaign manager Jeff Weaver said in a statement.